• The features you need at a price you can afford. • Clear and powerful sound thanks to a dual amplifier configuration driving a Neodymium 10" woofer and titanium-dome compression driver. • Light-weight – basic system weighs just 32 pounds. 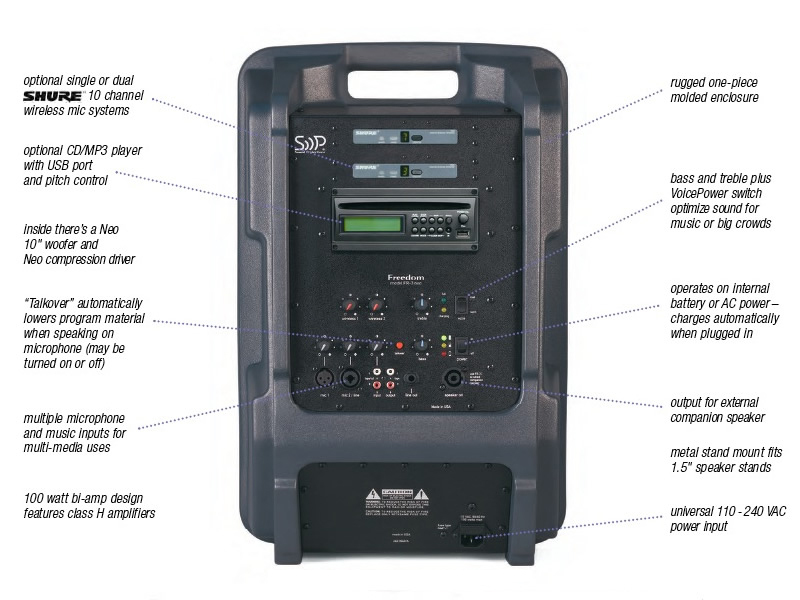 • Optional CD/MP3 player with port for USB memory key and up to two 10 channel wireless microphones. • Exclusive ‘talkover’ feature automatically lowers program material when speaking on microphone, ideal for short announcements and multi-media presentations. 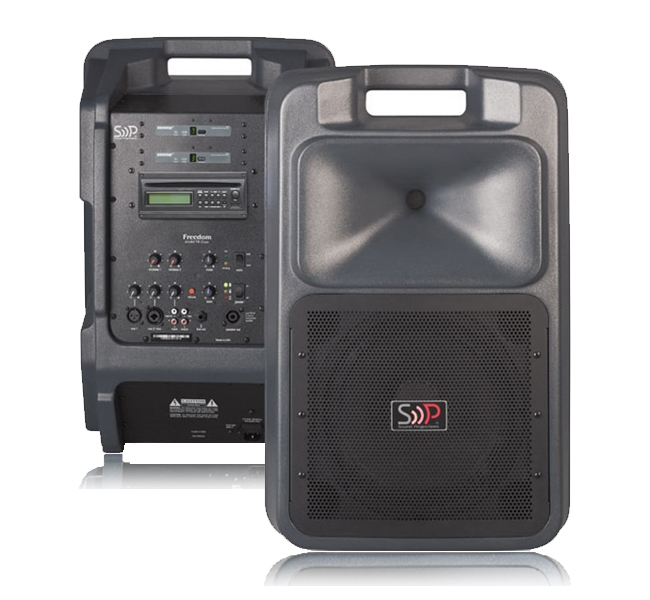 • With 100 watts total dynamic power, it’s just right for groups of 100 people to crowds of 2,000 or more. • Use it anywhere – operates up to a full day on the built-in battery,or plug it in for true AC operation. • Six year warranty on system, 2 years on battery. ... 23 x 15 x 13"